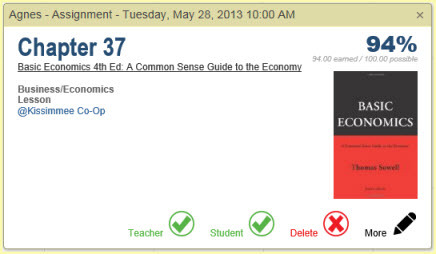 You can delete any Assignment, or any group of selected Assignments. 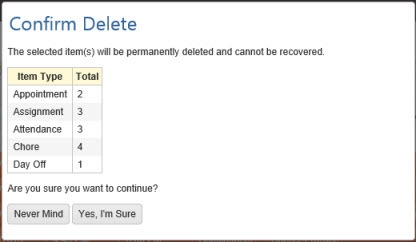 Deleted items cannot be retrieved. When deleting Assignments, you can also choose to include Appointments, Attendance, Chore, and/or Day Off entries in your selection. HSTOnline will show you how many of each type of item you have selected for deletion. You can delete any single Assignment from the Agenda - Calendar view. To delete multiple items at the same time, use the Delete action in the Agenda - List View. Choose the Assignments you want to delete.